Evelyn is a first grade teacher who specializes in teaching students how to write in cursive and in print. As a child I remember Mrs.Thompson, my first grade teacher, gently putting her hand over mine and guiding me in the formation of letters. We wrote on green, lined paper with dotted lines down the middle, and only after we had practiced for a whole week were we allowed to use white paper to prove how beautiful our handwriting had become. We learned that almost every letter is made up of sticks in balls, and soon we were writing beautiful print letters. When I taught in Costa Rica, I learned different methods for teaching cursive. We learned not to go from "a" to "z," but to start with strokes. The letter "c" was no longer a mere letter, but an ocean wave, and as we learned each letter we began to put them together to spell words. It was here, in Costa Rica, that I fell in love with handwriting and teaching it to children. Since then I have taught many children how to write, and have gone from just paper and pencil to activities that involve texture, artistry and physical movement. 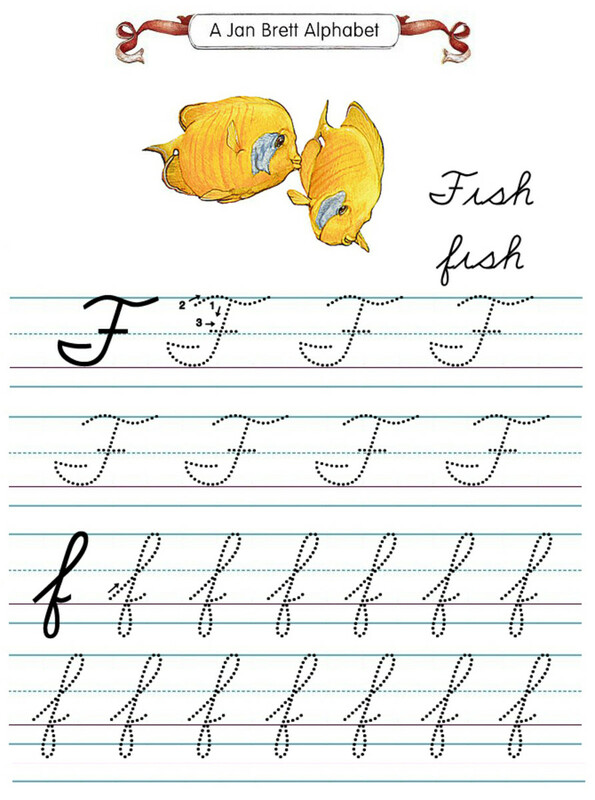 Below are some great lessons and activities when it comes to teaching penmanship. This article will also include a section on the art of teaching cursive, and a section on teaching students to read cursive. Writing in the air helps the children internalize the motions involved in making the letters. Saying the sounds aloud reinforces the letter sound relationship and will help them as they learn to read and spell words. Write the cursive letter in the air with very large motions, say the sound of the letter. Next, find a partner and write the letter on each other's backs. Give each of the children a chance to write a letter on the board. 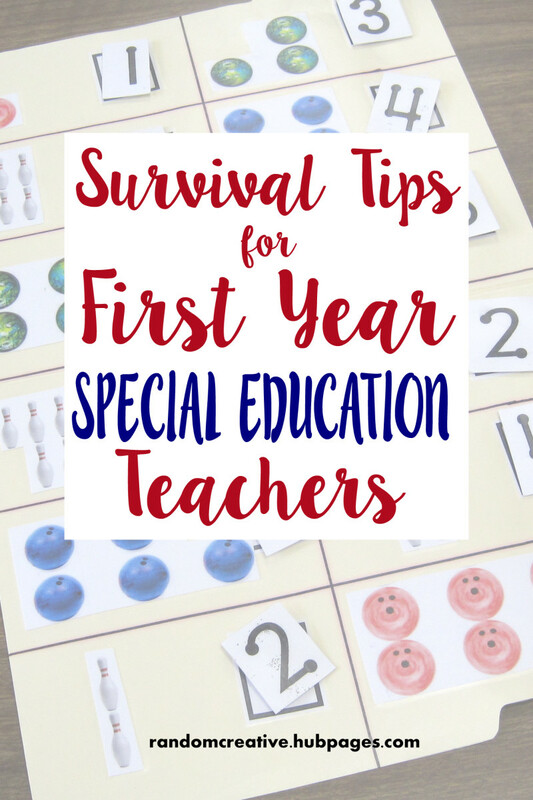 Check each of the children individually to make sure they have understood how to form the letters, and that they start at the bottom line, touch the middle line and then curve back down to the bottom line (depending on the letter). Those who are able to form the letter in question correctly are allowed to take a paper and pencil and practice at their desks. Those who are having difficulty work longer with me at the board. 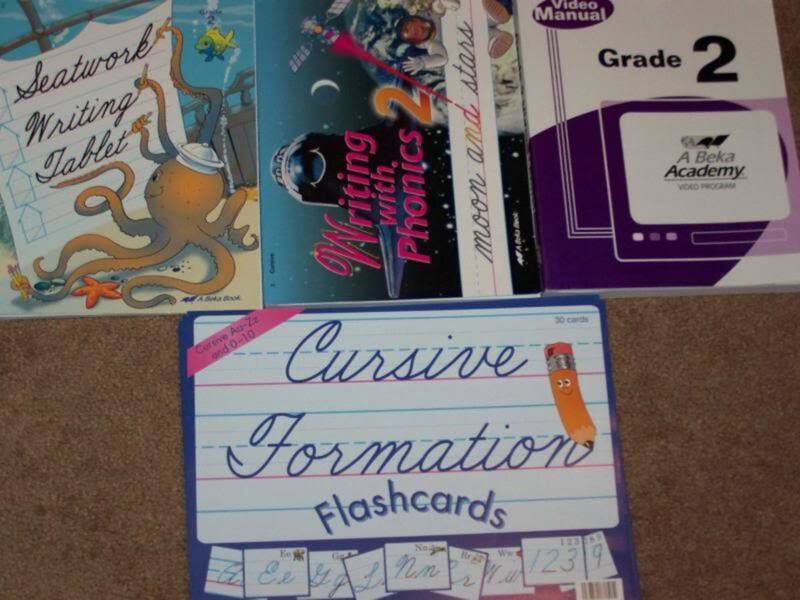 Laminate cursive cards and have your students practice their cursive by tracing the letters over and over again. Once they have learned to form these letters, you can begin to combine them to form words. If your child is having trouble with letters "o," "b," "w" and "v," consider making your own laminated cards with words such as "look," "book," "love," "wool," "broom," "vroom," "woven" and "wrote." When it comes to printing cards, I particularly love Jan Brett's beautiful illustrations, and the children love the animal themes. Copy (or print) each letter of the alphabet onto card stock. 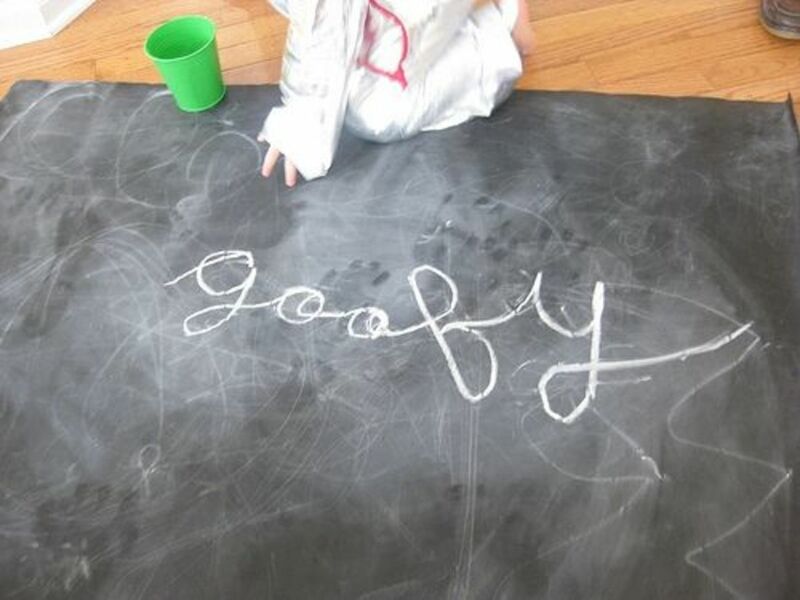 Have the children practice tracing the letters using dry erase markers or grease pens. 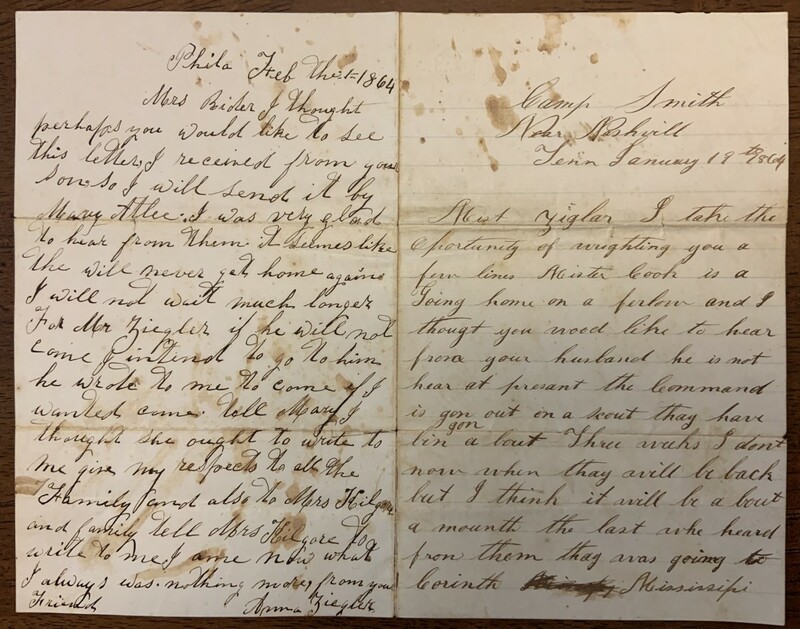 Handwriting Without Tears is a method of teaching print letters, both capital and lower case. There are four magnetic pieces that can be used to make each of the capital letters in print and most of the small letters. The children are able to manipulate the long and short lines, as well as the small and big curves to make different letters. Note: I have to say that I have mixed feelings about including Handwriting Without Tears in your penmanship curriculum, since it seems to be a dumbed down version of the beautiful cursive that I grew up with. Still, many have mentioned it, liked it and swear by it. It is a transition cursive that makes learning to slant and swirl more difficult than necessary. Another way to make learning fun and exciting is to practice using unexpected materials. Chocolate pudding, for example, is just the right consistency for practicing handwriting. It's also fun to lick your letters off of your fingers when you're done. Practicing your cursive letters in chocolate pudding spread out on a cookie sheet may seem messy, but that can be just the thing to get some kids motivated to practice their handwriting. With a thin layer of pudding, the children can slip their fingers through the pudding, revealing the tray below and forming the letter he or she is writing. Make a mistake? Letters don't seem to be formed correctly? Just wipe it smooth again with a spatula and practice your cursive letters again. Note: I usually allow the kids to make their own pudding so that they get a chance to practice measuring and fractions, thus covering math as well as handwriting. Japanese zen gardens have sand that is raked into beautiful patterns. Set up a miniature Japanese zen garden where children can write their letters in the sand. Hang a poster of a zen garden over the activity center as an example. 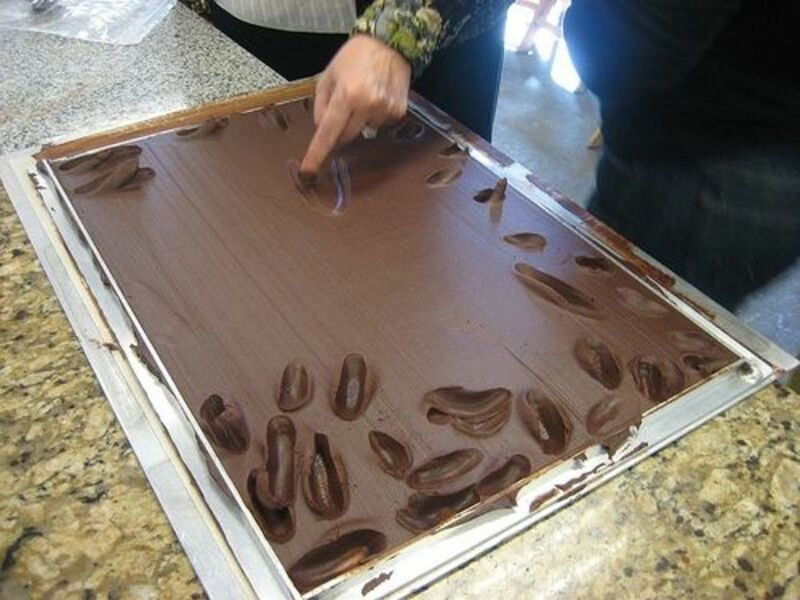 Pour a thin layer of sand on a cookie sheet or tray. Shake the tray so that the sand lies evenly across the tray. Offer children the choice of writing with their fingers, a stick or a small rake. When transitioning from print to cursive, children need to learn to write whole words without picking up the pencil. In this exercise, children are given the opportunity to draw a picture without picking up the marker from the page. Children love to practice these motions over and over as they create unique works of art. The control needed to scribble like this is the same that is needed for penmanship. Without even realizing it, your children will be improving their handwriting. Be sure to provide lots of paper and a variety of markers in different shapes and sizes. Many children love to use play dough. This activity reinforces the idea that the letters are made with one continuous line, and that the letters are connected within a word. 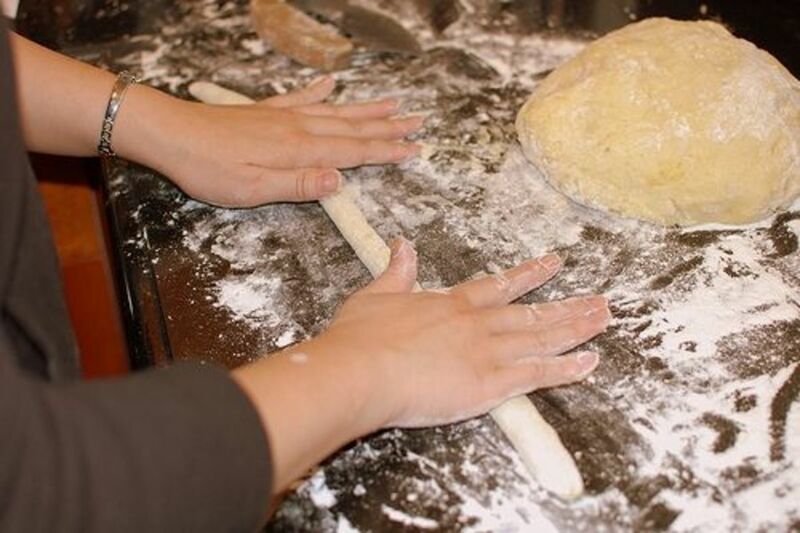 Roll out long snakes of play dough, bread dough or clay, and use those snakes to form the cursive letters and words. Once the children have been introduced to most of the letters, practice spelling and word formation. Some children like to write words in cursive clay. 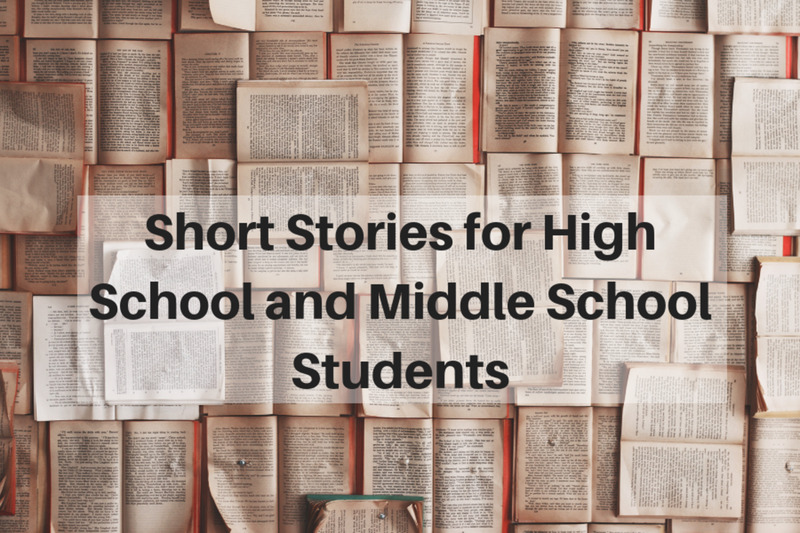 Take pictures of them and use them as covers of the books and stories they write. Do your students love to play with trains? If so, this is a delightful way to learn cursive: Ask your students to put train tracks together to form letters. Then, your child can repeat the sound of the letter as he or she drives a train along the letter tracks. Have your students swirl the glue in delightful curves on a piece of paper, practicing the art of creating perfect letters that flow across the page. Then, sprinkle glitter on top of the page. Writing with glitter and glue is a fun and artistic way to practice cursive. Also, the control needed to write in glue and glitter will help improve the handwriting of your students. Note: Avoid buying glitter and glue that is already mixed. 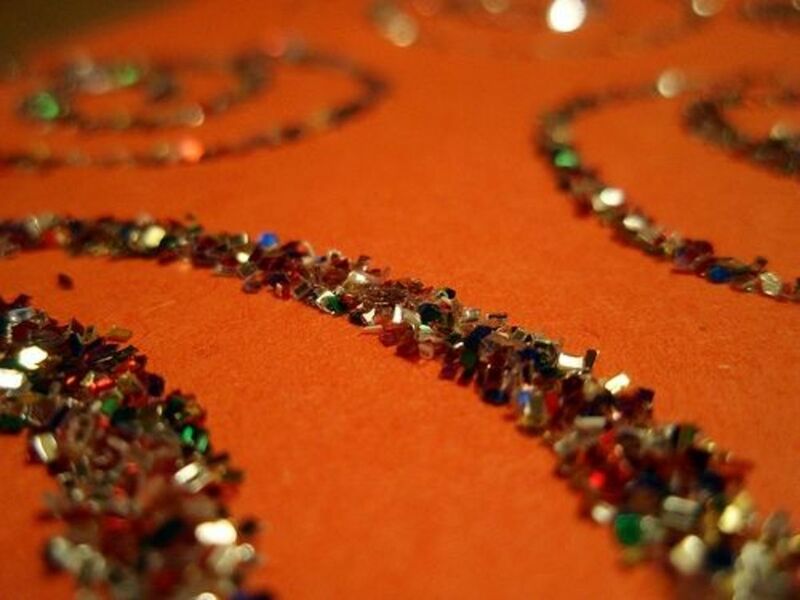 It is good practice for your students to write with the glue, adding the glitter after. Using sandpaper, trace the shape of a letter and cut it out. Then, glue the sandpaper letter to a sheet of heavy card stock. Once the sandpaper has adhered the card, have your students close their eyes and run their fingers over the letters, guessing which letter is which. I have found that children love doing this activity, especially in pairs. When the snow is a few inches deep and it's easy to pack down, you can make cursive "Fox and Geese" games. Stomp down the path of the letter you are working on, then start chasing the geese while following along the path. Each time a goose is caught, shout out, "This goose was caught in the letter ___!" This is a fun way to practice cursive while running around in fresh snow! 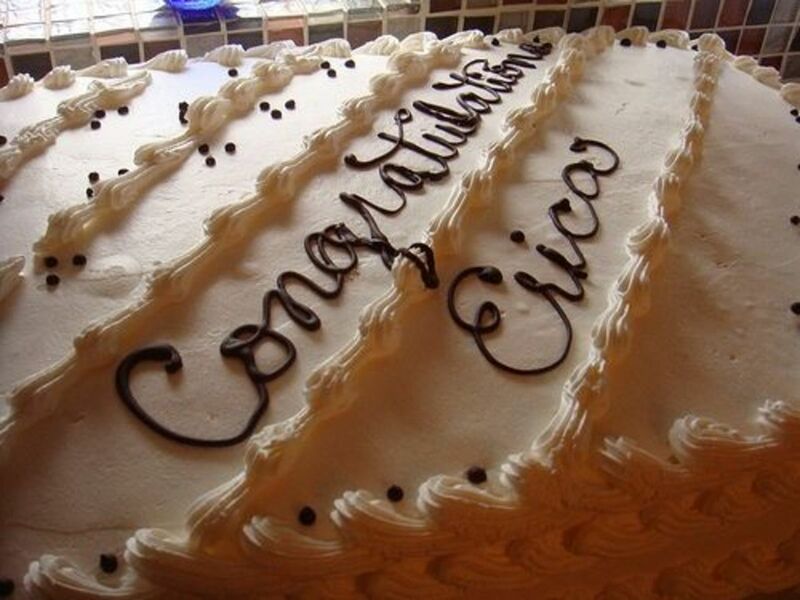 Traditionally, words are written on cakes and cupcakes in fancy and swirly cursive. Encourage your students to practice their cursive with frosting as they decorate various treats and desserts. What a fun place to practice their handwriting! Not to mention, when they are done, they will have something sweet to eat as a reward. Wikki Sticks can be shaped to form letters, and they easily stick without glue. My students enjoy constructing cursive letters using Wikki Sticks, and this activity helps them focus on the shape of each letter in detail. Often this concrete, tactile activity helps children internalize the actual shape of the letters. Create index cards with the letter or word your students are learning. Have your students stick the Wikki Sticks onto the cards, as if they were tracing. Note: Because the Wikki Sticks stick to the cards, they are a better option than pipecleaners. Did you know that you can use chalkboard paint to turn any surface into a blackboard? Simply roughen the surface with sandpaper, then brush or spray with chalkboard paint. At first you might try rectangular pieces of wood, which resemble a blackboard. After you're comfortable with the process, let your imagination run wild. How about covering a teapot with blackboard paint? You could write the kind of tea being served in cursive, or cover jars with blackboard paint for storing spices. Exposing your students to cursive will help them learn to recognize and write letters and words. My children always loved writing in the damp sand at the beach, but if you can't go to the beach another fun way to practice your letters is to write them with your fingers in a tray of sand or salt. Choose any shallow tray and cover the bottom with a liberal sprinkling of sand or salt. Use the pointer finger of your dominant hand to write the letters you are practicing. Mrs. Thompson always had us practice each new letter over and over again on green, lined paper. Only when we were confident in writing each letter, were we allowed to use white paper. This method encourages practice, with mastery as the reward. Consider using lined paper as you teach your students how to write in cursive or print. Slip a bat finger puppet on your finger and practice your penmanship as the bat swoops through the air. This is a fun way to practice your cursive as Halloween approaches. Practicing the motions in the air helps children to develop a smooth motion when writing. As they write each letter, they should say the motions out loud, making each letter in big swooping motions. When they go back to their seats to practice with a pencil or pen, they can imagine the tip of their pencil as a swooping little brown bat. 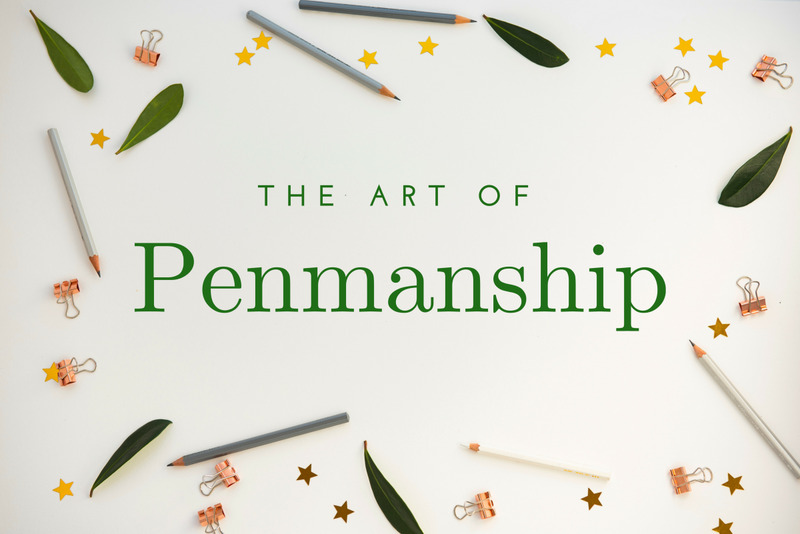 While the lessons and activities above are great ways to encourage your students to practice their penmanship (whether it be in print or in cursive), the guide below will explain my tried-and-tested methodology when it comes to teaching cursive letters. Contrary to popular belief, starting with the letter "a" and ending with the letter "z" is not the best way to teach your students how to write cursive letters. By following the guide below, your students will learn cursive more quickly than if you were to follow standard, and often ineffective, teaching methods. Which Letters Should You Begin With? When planning a lesson in cursive, I always begin with the letters "u," "i" and "t." This is because they are easiest to form, and so much fun to dot and cross. 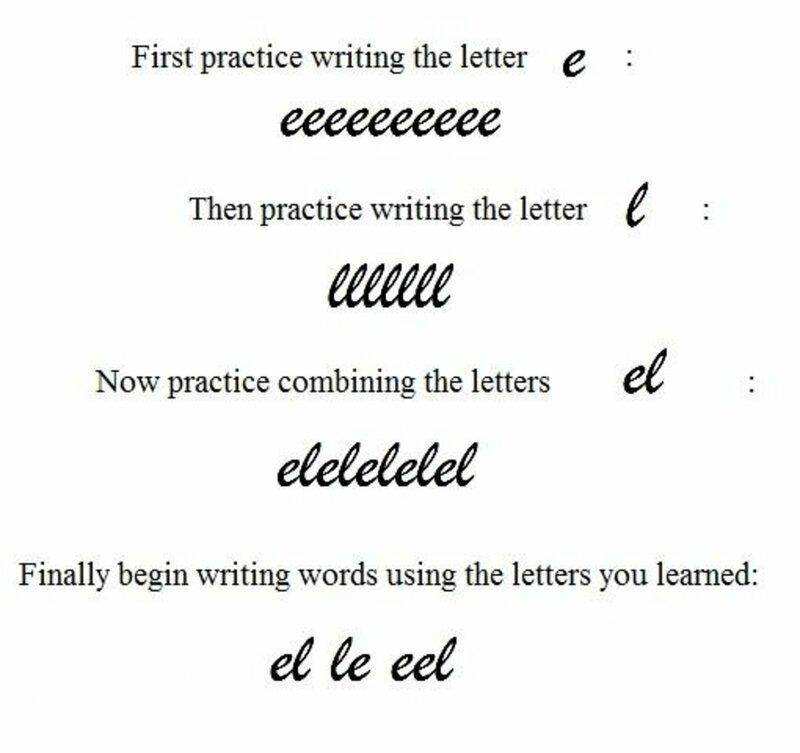 After these, I teach my students the letters "e" and "l." These are great choices because of the amount of words that can be formed using only these letters. When I practice these letters with my students, we always use lined paper, making it easy to reference the "bottom line," "middle line" and "top line." No matter which letters you choose to start with, think about the words that could be formed with them. After this lesson, I begin to teach my students the letters "c," "a" and "d."
Finally, we go on to letters "n" and "m." These letters are confusing for children because they have one more hump than they do in print. After learning all of these letters, I have my students try new letters that combine the shapes they have already learned, such as "f," "h," "k," "q," "r" and "s."
At this point, all the letters 'reach their hands out' at the bottom to 'hold hands' with the next letter in the word. Now, we go on to the letters who hold hands with the next letter near the top line, letters such as "b," "w," "o" and "v."
I explain that the letter "e" starts at the bottom line, curves to to the middle line and then curves back to the bottom line. When it comes to teaching the letter "l," I teach my students to start at the bottom line, swoop upwards toward the top line, and loop back down to the bottom line before reaching out for the next letter. It is a great idea to teach the letters "e" and "l" together, as they are very easy to connect in one fluid motion. I tell the children that the letter "c" looks like an ocean wave, and as we form the letter we chant "ocean wave." I also have them notice that the letter "c" starts at the bottom line, curves up to the middle line before tracing its way back along the first line, then continues down to touch the bottom line before reaching for the next letter. 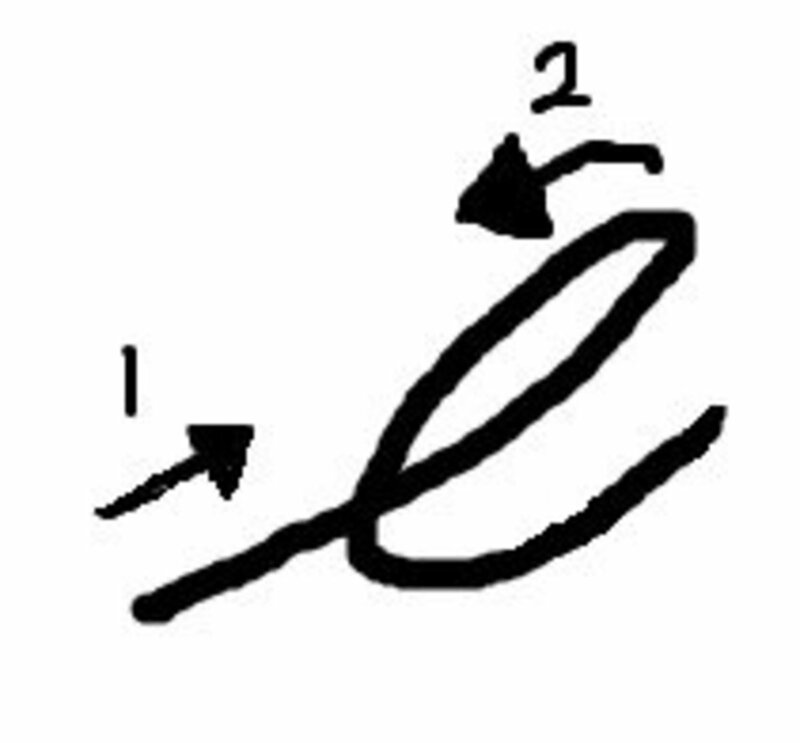 The letter "a," as I explain it to my students, is just like the "c," except before reaching for the next letter, I tell my students to finish by connecting the lines at the end, almost as if creating a circle. The letter "d" is just like the "a," but it continues up above the middle line and calls for a loop much like the "l."
Note: The letters "d" and "t" both stop halfway between the middle line and the top line, and are the only letters to do that. One of the most difficult letters for students to form is the letter "f." The key is to make sure that it has a long, straight back. There are so many curves in cursive that people tend to curve the back and then wonder why their cursive looks odd or babyish. Notice how the letter "f" is formed on the chart below by Jan Brett. 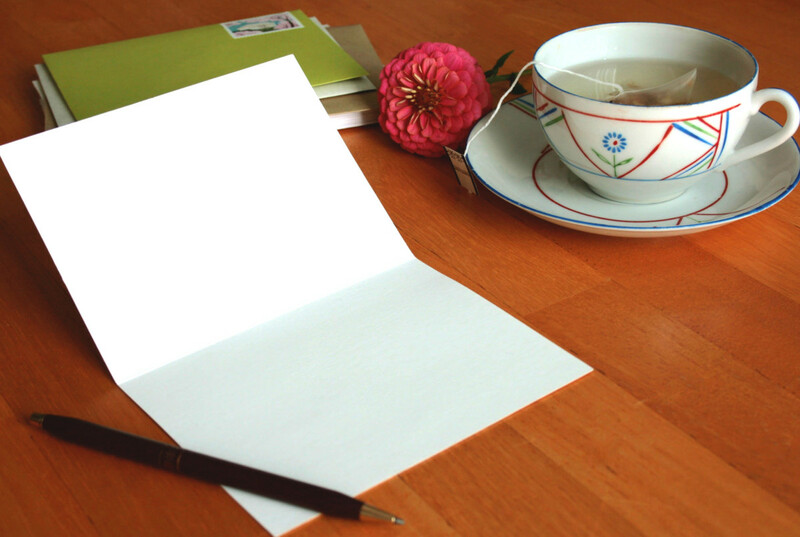 There are several different styles of handwriting that have traditionally been taught. 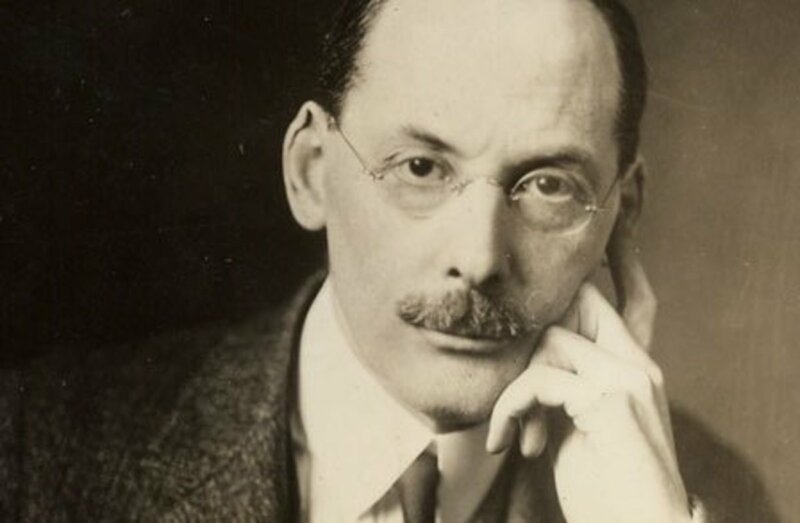 Many use the D'Nealian or Zaner Bloser methods, but one of the most elegant methods is the Palmer Method. People who learned with the Palmer Method have beautiful handwriting. Perhaps when teaching your students how to write cursive, you will introduce this attractive method. See examples of letters written according to the Palmer Method in the video below. Whatever method you choose to teach your students, the cursive alphabet worksheet below can serve as a helpful classroom aid. The worksheet shows both the capital and lower case forms of each letter, along with arrows indicating the order of pen strokes students should follow in order to correctly form cursive letters. Not only do children need to learn to write in cursive, they need to learn to read in cursive as well. Writing at least part of the morning message in cursive will help children become familiar with the way words look when written in cursive. As I begin to teach my students cursive, I slowly begin to write more words on the board in cursive script. 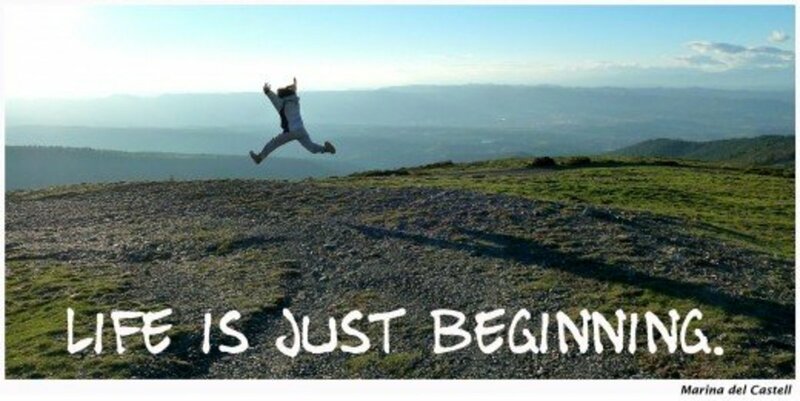 Usually, I start with the words, "Good morning." These are words that the children have come to expect at the beginning of the morning message each day, so they easily recognize and read them. This is one simple way to introduce students to cursive, but there are many more methods and lessons you could try out in order to familiarize your students with this type of script. Make a set of color matching eggs. For each egg, write the color in print and create a matching egg with the color written in cursive. Have your students make matching pairs. Laminate the eggs and play games such as Concentration or Go Fish in order to practice reading the words in cursive. 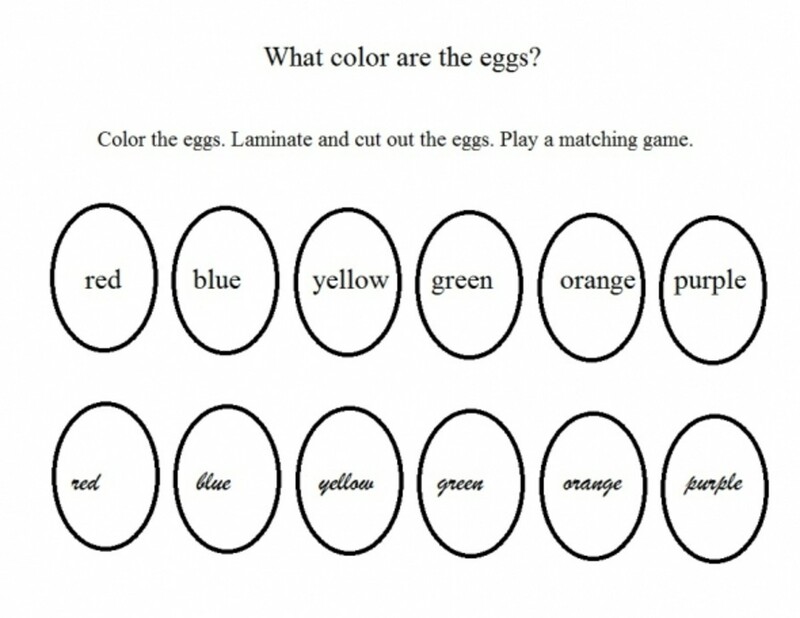 Allow your students to color the eggs, reinforcing the skill of reading in both print and in cursive. How is your handwriting? - Are you teaching your child cursive? The underwater writing product is a new one for me! Makes sense, I do some of my best thinking in the shower. I had learned both printing and cursive and cannot imagine anyone not knowing how to write with a pencil or pen. 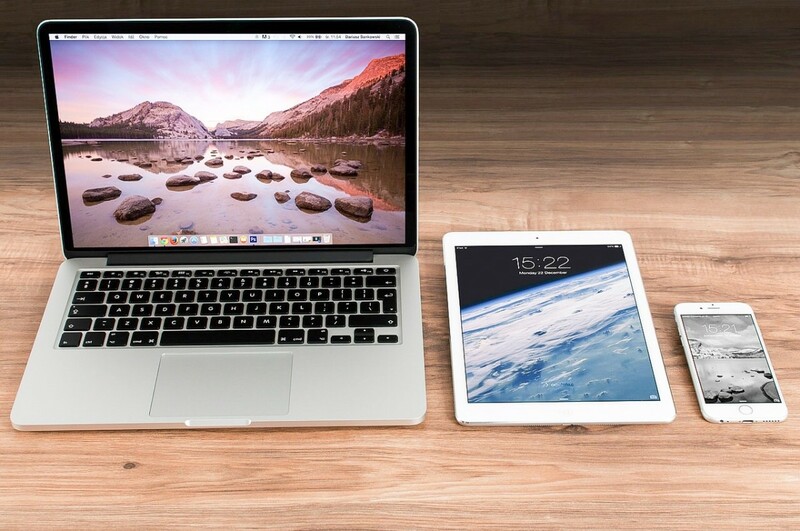 Everyone needs a backup system when electronics fail. I think it's really sad that many schools want to do away with cursive. It seems like a dumbing down of society. I absolutely think that we sould continue to teach and use cursive and I wish there were more of an emphasis on penmanship today. This is going to be very helpful in the future- especially when the schools start taking cursive handwriting out of their curriculum. I don't know about all areas, but I've been hearing a lot lately about schools no longer teaching cursive. This is really disappointing to me, and a big thanks to people like yourself who spend hours compiling all this information and creating such a masterpiece lens or article on the subject! Some of the kiddos I work with in Literacy Group still want to try cursive -- and ask for it as a favored activity on "Fun Learning Friday." Take that, texting! I really enjoyed teaching my children cursive. I even learned techniques to improve my own handwriting. wow, this is a great lens for a teacher or kids needing to understand cursive writing a little better - they say it will be an art fewer people will be able to do! WOW!!!! What a ton of information on what I consider a long lost artform. As soon as the school says they have the option to print or write in cursive, kids opt for printing, which I think takes more energy to produce then cursive. Thanks again for the great info! What a great Lens about writing in cursives. At the moment I'm 43 years and learning to handwrite again, because my writing hand is paralized. I was left handed and now I'm doing my best to become right handed as well. Some of your tips are very useful, thank you, I add your Lens to my squidoo favorite bookmarks on my computer! And I've added your Lens to the related Lenses on my "Back to school shopping tips: become a school shopping graduate!" Lens. Have a lovely day! How come when I and my kids were at school the teachers found plenty of time to teach us cursive handwriting. The kids school hours seem to be longer but there is less time!!!! This is very creative approach! I would never think about something like this on my own. @goldenrulecomics: With the tips and a little practice you can greatly improve your handwriting if you decide to. Which of the many suggestions do you think would be most fun for you? Wish they'll put more emphasis on this in schools. My handwriting is beautiful .. I would love to practice and be taught the Cursive method though! Both in regular school and homeschool, we tried to teach my son penmanship to no avail. He did eight years of it and his handwriting in no way resembles anything but chicken scratch. I do think it is an important skill and you have a terrific page. Blessed! My children are still printing, but next year starts cursive. You've given me so many great ideas to make it fun to teach! I didn't start homeschooling until my son was in 10th grade (he is my oldest and my first to be homeschooled) He did not even know how to sign his own name in cursive. Yes, I made him do 2 whole workbooks for cursive writing. He will be 30 years old this year and all he writes in cursive is his signature. He doesn't choose to use it any other time, but at least he has a signature! Clearly you are a phenomenal teacher! I wish I had learned penmanship from you when I was a girl. Blessed! I found this by mistake but became curious from the first paragraph. I had a teacher also called Miss Boyle who was relentless in the art of good hand writing which is still with me today. It is sadly a fading art as email etc takes over our busy worlds. My biggest complaint with this lens is that there are not enough ways to teach cursive here. Just kidding, this is one of the most complete lenses I have ever seen - absolutely deserving of the Purple Star. I would have so loved to be a student in your classroom - you know how to have fun and still teach! Pinned to my Teaching and Homeschooling board, blessed, tweeted. linked to in my rock garden lens as a way to use a zen garden creatively - and added to my own lens: "Squidoo Lenses I wish I'd written." Great job, Evelyn. Wow! I am overwhelmed with this fabulous purple star winning lens. Packed full of ideas and very deserving. Love you idea of a game to learn to read in Cursive. I think that skill is often presumed instead of taught and needs more attention. @maryLuu: If your son has good control over his fingers, five would be a fine time to begin cursive. Be sure to also give him lots of time to play with play dough, use a paper punch and color. All these activities will help him to develop his fine motor muscles. My son just started to study cursive so we have lot of fun trying. He is only 5 but I like the way he is trying. @MrMojo01: Many people have gotten out of the habit of writing in cursive but if you would like to improve your handwriting there are dozens of fun activities to make learning cursive a pleasure. My handwriting is awful and I honestly do not remember the last time I used cursive! I once wrote a goodbye note to a co-worker in a card and some people commented that I had good handwriting and that it was a lost art. I never really thought about it but after reading this lens, I realized I was doing the Zaner Bloser Cursive style. Thanks to the Belgian and French nuns who taught us this. Evelyn, you have done such a thorough job with this lens! Impressive lens, I enjoyed every minute of it. This is very enlightening for anyone wanting to know about teaching kids handwriting! You've done a fantastic job here. Nice lens ! Useful and informative. Thanks for sharing. I've always thought that it should be taught from a to z. Thanks. I learned something new today. Cursive writing is not only helpful for writing quickly, it can be beautful too, as you have illustrated on this excellent lens. Thank you. evelyn, this is a massive lens on cursive handwriting. Don't think I've ever read so much about it until I came across this lens. Back to this great lens to leave you a blessing. My sister and I were talking about the art of Handwriting and she told me that a lot of schools were no longer teaching it. I think that is so sad. How will these young people sign their names? printing? Evelyn, this is such a wonderful lens. I need to improve my pensmanship and your lens gives me hope that it can be done! Thank you! A fascinating and educational lens, truly deserving of the purple star and all your success. High Five for having such a great resource for learning handwriting and the best letters to start teaching a child to write penmanship. I was taught italic cursive but have decided to teach my children traditional cursive. They are very young and so I was looking for activities to make learning more fun. Your article was perfect! My printing is so much neater than my handwriting that I no longer use cursive. But I love your ideas and hope that everyone still learns to handwrite. Nice hand writing information ! fantastic lens ! Great lens! Cursive handwriting is beautiful. great lens, handwriting was very hard for me when i was in school, even reading handwriting was harder! great lens! and i think its much faster to handwrite than normal writing! I don't think students learn to write cursive anymore, the computer sort of made it unnecessary beyond signing your own signature. I'm happy to see your lens. Too bad you can't be in every classroom at once. I'm afraid I am aware that there is a school of thought today the teaching penmanship is putting all students into the old "waffle maker" and forcing them to all be the same. Loosening up your hand so you can write smoothly is the only way you can devolop you own handwriting. I have seen college students who have the tight scrawl of a third-grader. Their personalities are not expressed through their handwriting and most who have this problem are embarresed and avoid writing. Well, although my cursive is of the chicken scratch variety, I must say I've always admired beautiful penmanship. Excellent lens! During my parents' time, there was emphasis on cursive handwriting. My dad and mother have beautiful cursive handwriting. I wished I've took the initiative in my handwriting when growing up. I enjoyed teaching my children cursive writing. Such a terrific lens filled with unique ideas to make teaching cursive writing even more fun. Ultra-Great Lens about a skill that has all but vanished. Another really great lens you've made! This seems very useful, great job! Since Im mostly typing, my handwriting has suffered tremendous. I don't think any grownup still writes cursive, everybody has deviated to a certain degree. For example my capital letters are the same as the typed ones. I love handwriting. I just did a lens actually on digital versus handwriting, and my favorite recycled notebook, but I see you have covered the handwriting side pretty extensively :) Good job! I was always awful at cursive, but I am extremely fast at printing and have been complimented on my penmanship. Thanks for bringing this underappreciated topic to light! This is great. I can see you have put loads of effort into this one. Thanks a lot for sharing. I have the worst penmanship cause I wanted to be a doctor like my Dad and thought all doctors had to have bad handwriting. I still love your lens and wish I had known all this before! Thanks for these tips! I teach in Korea, which only has block letters, so some of my students struggle with cursive. I feel like a fraud teaching them, though, because my own penmanship leaves a lot to be desired! I have already been to this fabulous page, however this time I can bestow a deserving Angels Blessing! Ohh, Congrats This one is also Purple Stat Winner so I must Have to Give more Hugs and Bless for this one also. I've always took pride in my penmanship. I hate to try and read letters and especially signatures that a chicken has scratched up. Hard to find good penmanship today. A well made lens which I will bookmark and share with friends who home school their children. Thanks so much for bringing the art back to life. My daughter's handwriting was great when she was small, now it is no more so beautiful, I think maybe the handwriting takes a nosedive when we grow older. 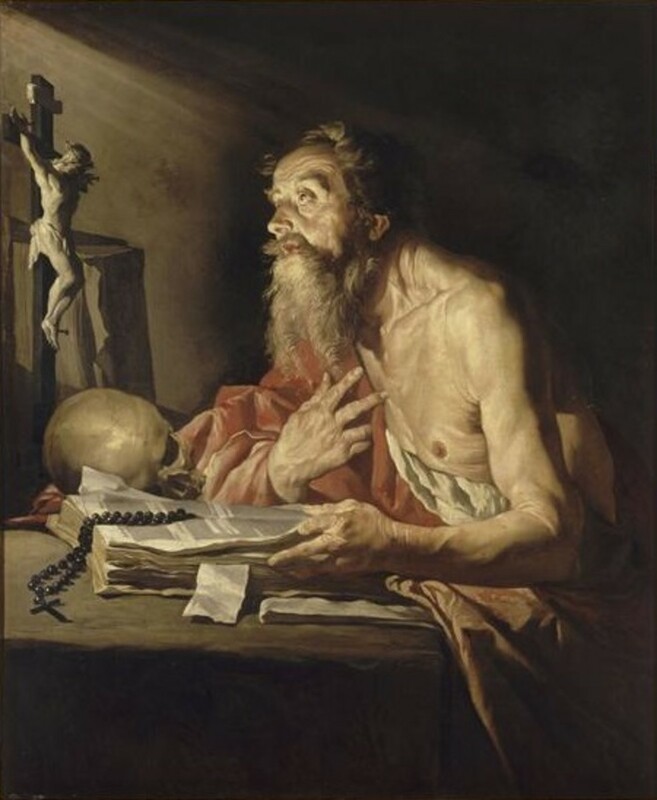 i was just watching a special on national geographic tv and they were talking about monk scribes from the middle ages and how they wrote about one page an hour. of course their caligraphy looked perfect as if it came from a typewriter! My handwriting is great. It's gotten somewhat more relaxed now that I'm not writing as much and typing instead. I get compliments all the time. :) I have my mom to thank because she used to encourage me to write as much as I could to practice. I prefer writing in cursive because it's faster for me. As usual another lovely lens from you,i can teach my daughter the same way you mentioned. I don't have children, and I teach other arguments, like science and ecology, but I would surely teach handwriting, if I had children! Thank you for your lens, so informative and reach of a mix of fun and "serious" things! Great work- I love this lens! What an awesome resource, and so well written!! Thank you for creating it! My handwriting is terrible, but I work at it every day. I'm learning Japanese and making it a point to work very hard on my calligraphy right from the start. As for your lens, it's terrific. Your passion shines through and I am certain you must be a great teacher because you have so many different ways of teaching the material. I am not very good at cursive writing and your lense has provide ample information for me to begin my training for cursive writing. thanks ! I remember practicing cursive in what was it, 3rd grade? That was a long time ago! I was never good at it. I might actually try some of your suggestions such as the chocolate pudding, that sounds fun! Great lens! Lots of good stuff here! My little guy has dysgraphia so even though he is entering the 4th grade, he is not near ready for cursive yet. We use to use Zaner-Bloser, but it wasn't working for him. His OT got us on Handwriting Without Tears and it is working great. I don't think it is as pretty of font, but the important thing is just to get him writing well. After he gets to printing well, then we will start trying cursive. Oh My god..its just amazing to have on squidoo.....a wonderful bucket of knowledge!!! Beautifully done. A Blessing to go with the Purple Star. I have excellent handwriting and even do calligraphy, but it came naturally to me. In my new 3rd grade school,, the school had taught handwriting to the 2nd graders and I was a new 3rd grader but my old school taught it in 3rd grade...so my teacher just put the letters above the board and told me to copy them till I learned. So I have my own way of doing it, but everyone seems to think it is really pretty. This brilliant lens is very informative. I have terrible handwriting. I have to type notes to my husband because he can't even read my handwriting when I print, much less write in cursive. My handwriting has gotten worse over the years since I now type and text just about everything, even my grocery list. I'm actually embarrassed by my handwriting. There have been many times at my daughter's school that I've had to admit I have terrible writing and pass the duty on to another mom when it came to writing our kids' names on something. I can see why this is a purple star lens. Great job with the information provided here. Yes, we are teaching cursive. It is so important to teach children good handwriting skill when they are young -- they will last a lifetime. As a retired kindergarten teacher, teaching each child to have good penmanship was a year-long goal of mine. What an amazingly insightful lens! Great work on this! Totally awesome lens, Evelyn, and very much needed. Most of the middle and high school students I work with claim they can't read cursive and they certainly can't write it! I'm very much afraid it's a dying art and that would be a shame. My daughters are 11 &amp; 13 and claim they can't read or write cursive. We are working this summer to correct that! Thanks for the great pointers! I was looking for something beyond the worksheets! This is a wonderful lens! My son has been learning cursive for the past couple of months. He still needs a lot of practice. I am going to use some of your ideas to make it more fun for him. I think he will really enjoy writing in pudding. Thanks for the ideas! Well I was quite certain I learned the Palmer Method, but having researched it, I see I was taught ZB! I am not a teacher and I so thoroughly enjoyed this lens all the same. I can see how inspirational this lens must be for educators and parents. I was so enthralled with the content that I only peripherally realized how delightfully interactive you've made this lens! Deserving of the Purple Star. Congratulations! As a student and an artist, I resisted learning to use the keyboard to write; my penmanship was legible and beautiful. As a high school teacher, and trying to stay ahead of my students in computer skills, I finally mastered the keyboard and began losing my cursive skills. Now, I will be homeschooling my granddaughter, who is entering the 6th grade and only able to write her name in cursive (if you can't bubble it in on an answer sheet, it isn't taught in school anymore). We will be learning together. Our goal is legibility and consistency in form, our culminating activity will be an illuminated manuscript we are both excited about the journey! print....I don't really remember at what age I decided I did not like the look of my longhand and changed to print. If you were my next door neighbor I would be at your house everyday to learn how to write again! You have such wonderful ways of teaching...love it. Like Chris, I used to have good handwriting but university life, laboratory jobs and a generally hurried life have resulted often in a scrawl. I like his idea that to focus on handwriting is an exercise to slow the pace of the mind, something I could use from time to time.